Kalidoni Travel is a travel agency that for over 17 years has been organizing amazing tours in Greece and internationally at incredible prices. The agency's slogan is: "Dreamy trips, affordable luxury". 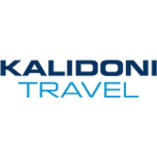 Whoever has traveled with Kalidoni Travel... knows of the quality of the services we offer and the prices listed are all inclusive without any added expenses during the trip.